Cost overruns building expensive, controversial nuclear plants got Westinghouse into trouble. Servicing, fueling and decommissioning them, however, is a more predictable business. That makes the $4.6 bln Brookfield is paying for the bankrupt Toshiba unit look realistic. 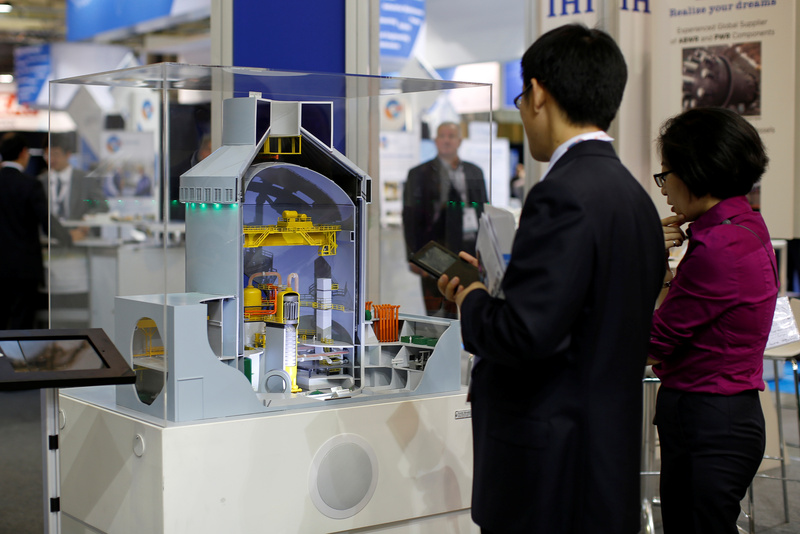 Visitors look at a nuclear power plant station model by American company Westinghouse at the World Nuclear Exhibition 2014, the trade fair event for the global nuclear energy sector, in Le Bourget, near Paris October 14, 2014. Brookfield Business Partners, in combination with institutional partners, on Jan. 4 said it had agreed to buy Westinghouse Electric for approximately $4.6 billion. The price includes substantially all of the bankrupt company and excludes cash. The buyers will use some $1 billion of equity and $3 billion of debt as well as assuming certain pension, environmental and other obligations. Brookfield Business Partners, the private-equity arm of Canada’s Brookfield Asset Management, will fund approximately half the equity on closing using existing liquidity. Westinghouse, currently owned by Toshiba, entered bankruptcy in March 2017 after a series of cost overruns building nuclear plants. Toshiba bought Westinghouse for $5.4 billion in 2006. The deal is the second nuclear power-related transaction this week. Earlier, Dominion Energy said it would buy Scana in a $7.9 billion all-stock merger. Scana in July abandoned two nuclear plants that Westinghouse had been building, after a series of cost overruns.